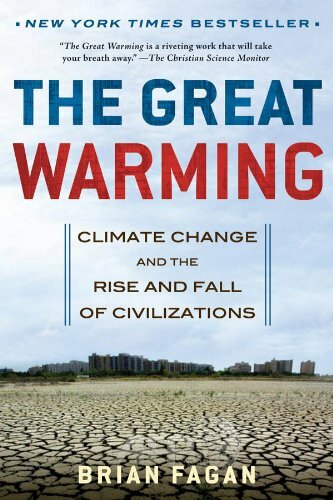 In this New York Times bestseller, Brian Fagan shows how climate transformed-and sometimes destroyed--human societies during the earth's last global warming phase. From the 10th to 15th centuries the earth experienced a rise in surface temperature that changed climate worldwide-a preview of today's global warming. In some areas, including much of Western Europe, longer summers brought bountiful crops and population growth that led to cultural flowering. In others, drought shook long-established societies, such as the Maya and the Indians of the American Southwest, whose monumental buildings were left deserted as elaborate social structures collapsed. Brian Fagan examines how subtle changes in the environment had far-reaching effects on human life, in a narrative that sweeps from the Arctic ice cap to the Sahara to the Indian Ocean. The lessons of history suggest we may be yet be underestimating the power of climate change to disrupt our lives today.